In the fall of 2010, the rebirth of an industrial Cleveland neighborhood reached a milestone when The Trust for Public Land and the Cleveland Rowing Foundation successfully purchased seven acres of commercial riverfront land. The partnership will convert the vacant concrete-covered site into Rivergate Park, a new and vibrant recreational center in the Flats. 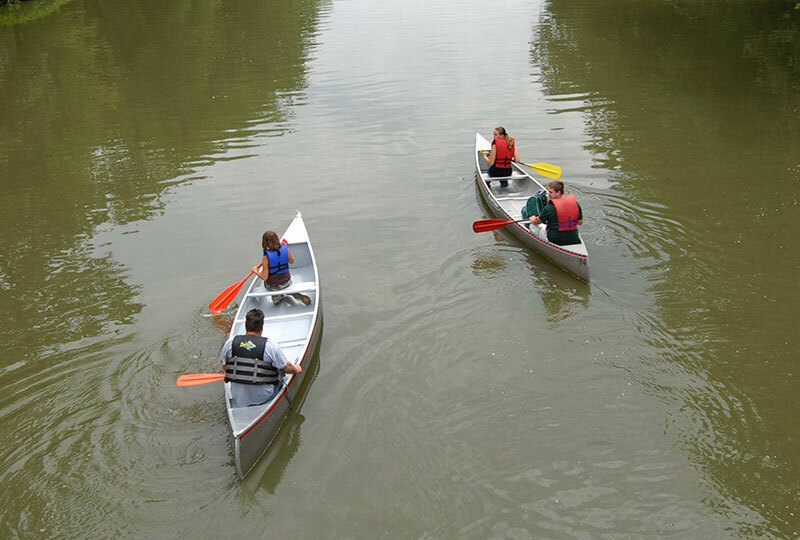 Opened in May 2011, the park preserves public access to the Cuyahoga River for healthy, people-powered activities such as kayaking, canoeing, rowing and dragon boating. Rivergate Park will also allow for expanded programming, such as a learn-to-row program for urban youth that has proved successful in other cities. The project took shape when the Cleveland Rowing Club faced the loss of their boathouse, which served large numbers of boaters including local high school and college crew teams, kayakers and dragon boaters. When the group approached TPL, both partners recognized that finding a new site for their facility also presented an opportunity to create a river front park and recreational gem in downtown Cleveland.